How I Got Over plays like a mind clearing car ride at night. It’s been 8 years since Phrenology, the last decent Roots album by most fans standards. The last 3 Roots albums have been less then desirable. Game Theory was pretty awful and although Rising Down had some good moments, the album wasn’t strong. How I Got Over seems to be a change of pace. I don’t know if being the house band on Late Night with Jimmy Fallon has helped focus The Roots a little better but How I Got Over is strong. A Peace of Light, the albums intro, is the weakest point on the album. It’s an odd vocal lead instrumental that almost put me off to the album from the start. But after that, How I Got Over is on point. Walk Alone, Dear God, Radio Daze kick the record off with laid back, piano lead gems. Walk Alone has a strong hook and on all three songs, Black Thought is strong vocally. How I Got Over is full of strong grooves and catchy hooks. The album features guest appearances from Blu, Dice Raw, John Legend, and many others. The last two tracks on the album are completely unnecessary. Both Web 20/20 and Hustla don’t fit with the feel and groove of the rest of the album. They feel like 2 tracks thrown on the end of the record just because they had recorded them. 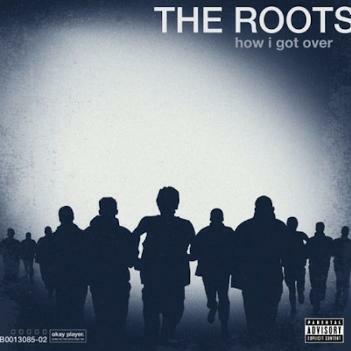 Had the album ended at The Fire, How I Got Over would’ve been a fantastic and perfect return for the Roots. Despite those last two tracks, How I Got Over is a great record.